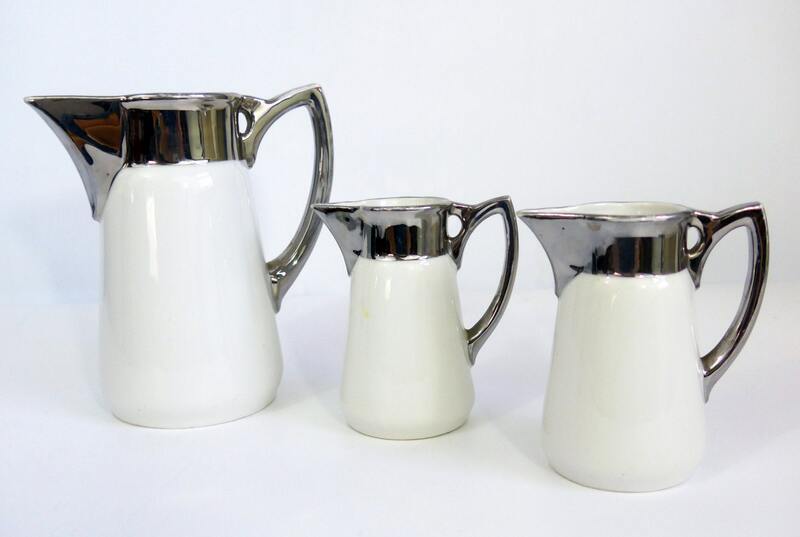 Set of three pitchers that are white with silver handles and a wide silver band on the tops. 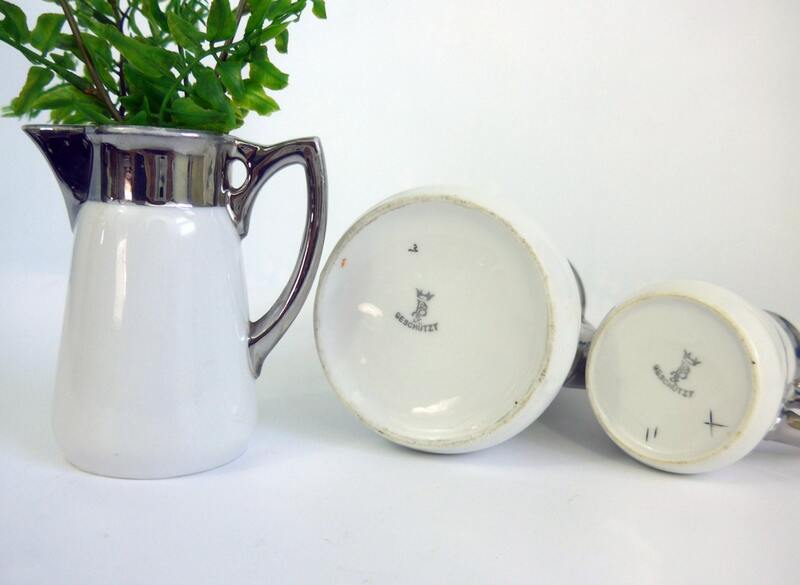 All three are marked with a hallmark with a crown, PB and Geschutzt on the bottom in silver. 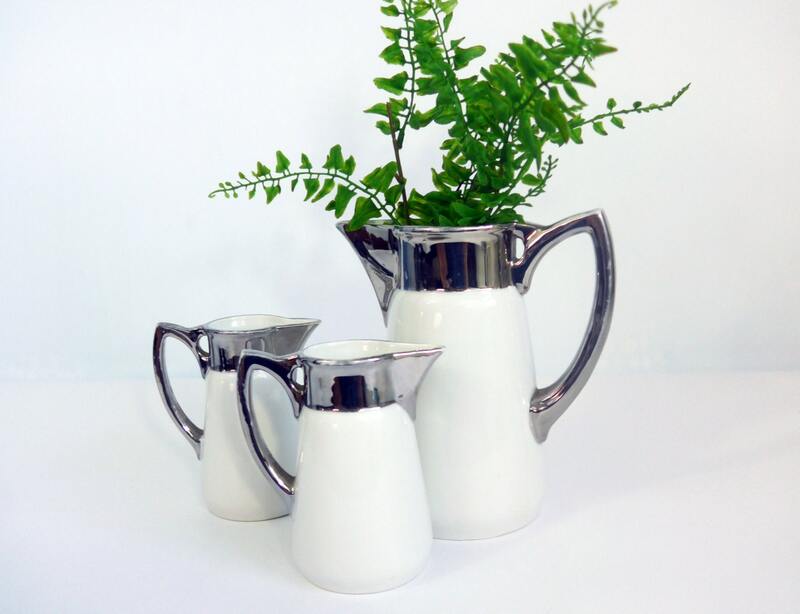 There is one larger pitcher and two smaller matching pitchers in the set of 3. 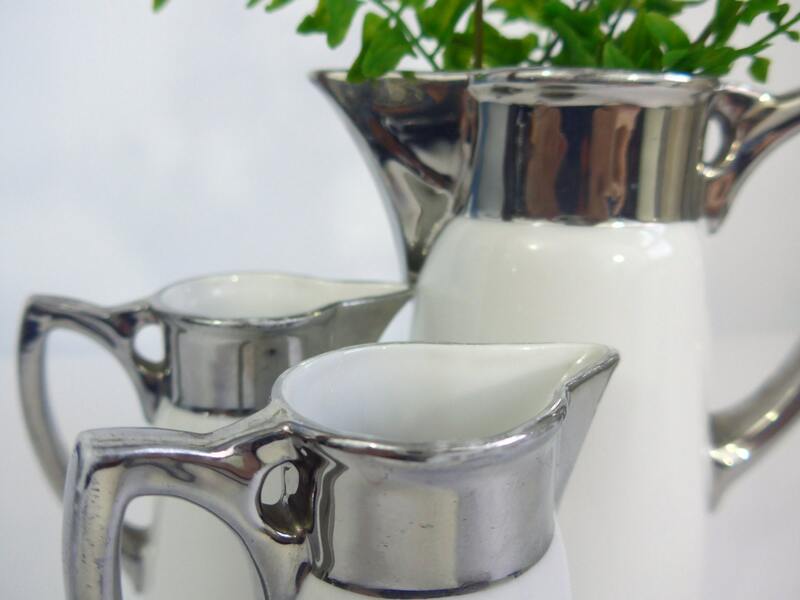 Great home / kitchen decor item! 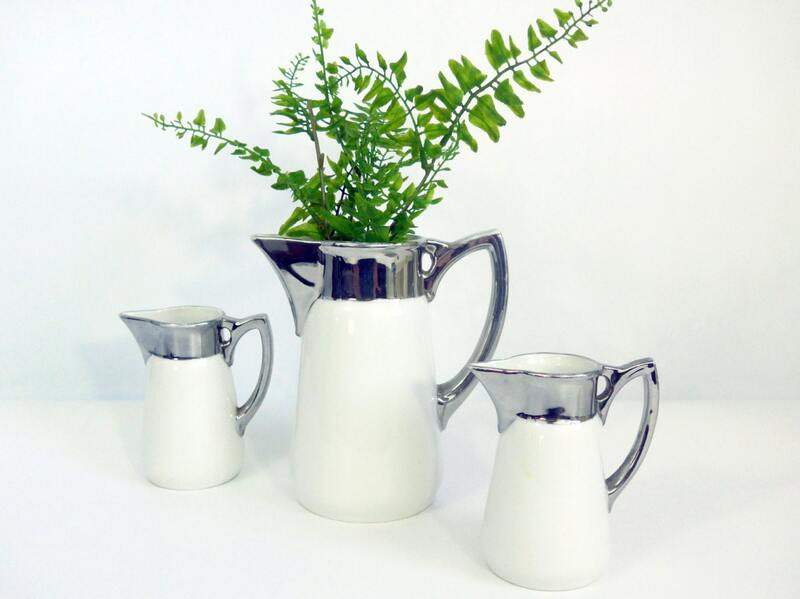 smaller pitchers - 4 1/4" high. 3 1/2" wide from tip of spout to end of handle. Bases have a 2 1/3" diameter. In nice antique condition with no chips or cracks. Some loss of silver on rims and handles and wear on bottoms - see photos for detail.